For those who haven’t followed us long, we enjoy a nice glass of wine. Of course, we find that the reason they make so many varieties, is because everyone has their own preferences. Fortunately, we both are fans of wines on the sweet side, so it’s not hard for us to find a bottle we both agree on. 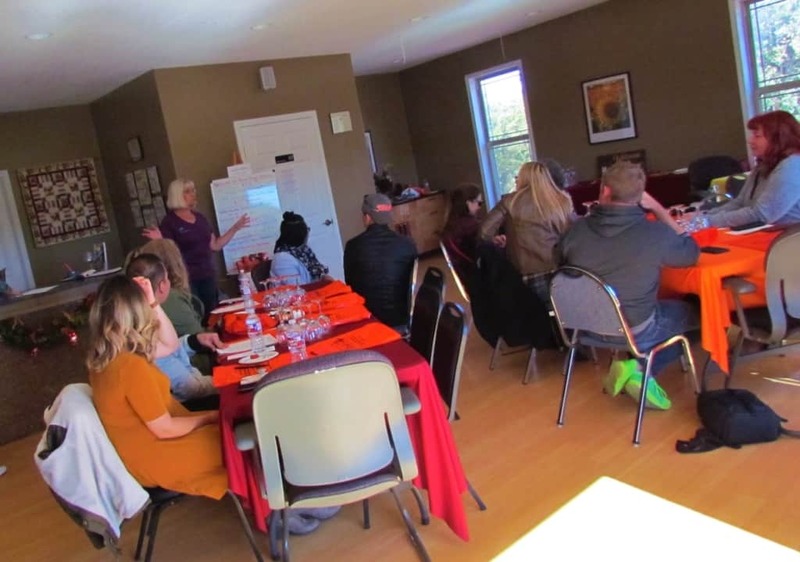 On a beautiful Fall day, we joined a group of social influencers for a visit to Rowe Ridge Vineyard & Winery, located at 11255 Leavenworth Road in Kansas City, Kansas. 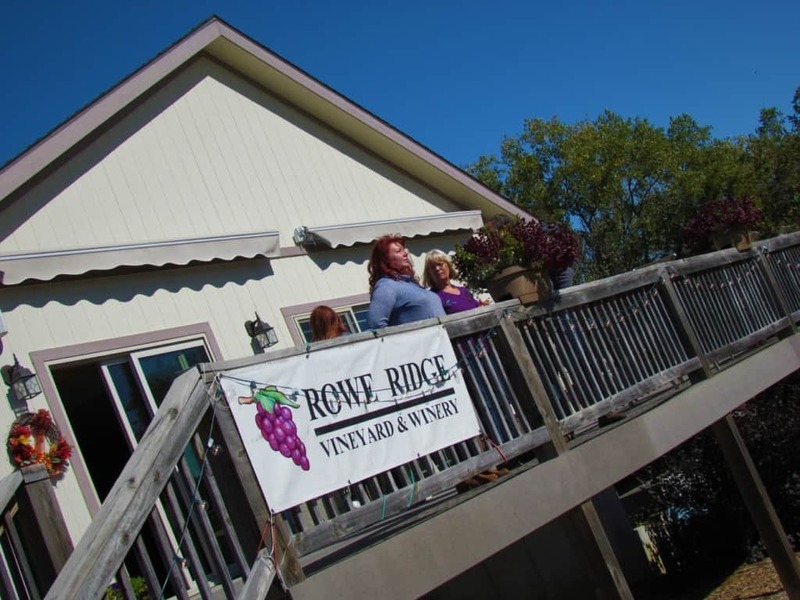 We want to thank Visit KCK and Rowe Ridge Winery for their hospitality. Rest assured that all opinions are our own. The purpose of our gathering was to learn more about the local wine world, as it relates to Kansas City. A recent cold snap had brought a period of frost, which as most know, means an end to the growing season. The advantage of winery visits is that most of the time is spent indoors, either touring or tasting. Both of these are things we enjoy. On this particular day the sun was out in full force, so we knew that by mid-afternoon the temperature would rise enough for some outdoor viewing. Pam Rowe, our hostess and the winery co-owner, addressed our group. 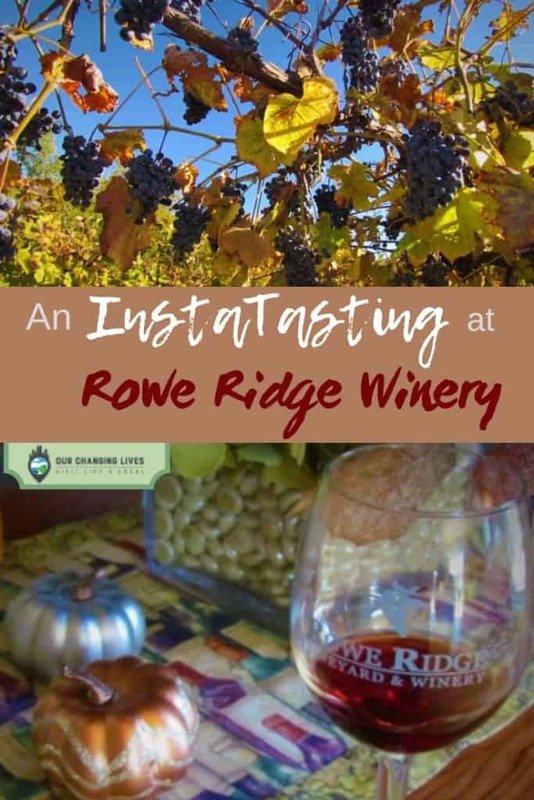 She walked us through the various wines that can be found at Rowe Ridge. Pam explained the processes in making wine and types of grapes used. Samples of each type were poured out for us, and we graded each on a provided information sheet. The wines were served from dry to sweet, so each new variety brought us closer to our liking. After our group broke out to the vineyard, Crystal and I took a moment to visit with other staff. Under normal circumstances, the tastings would take place at their bar area. 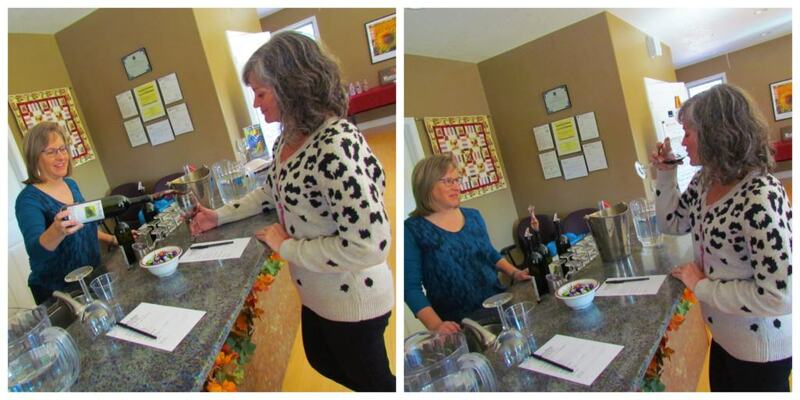 Here visitors will find personal service, where they will walk you through the tasting process in a less formal format. It offers a chance to sample as many or as few types as you desire. Crystal chose to skip over revisiting the drier wines, and instead focused on honing in on her favorite variety. Of the current eight varieties offered, we ended up liking three of them. We finished our tastings, and decided to join up with our group. 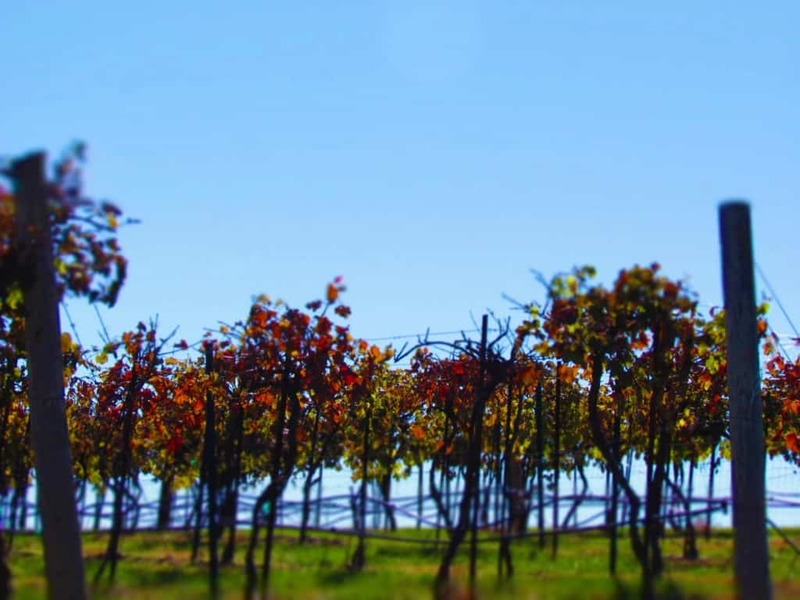 The sunshine had warmed the day, so it was comfortable wandering through the vines. With the recent frost, the leaves were making their change. Pam had given us an overview of the different grape varieties and where each was planted. 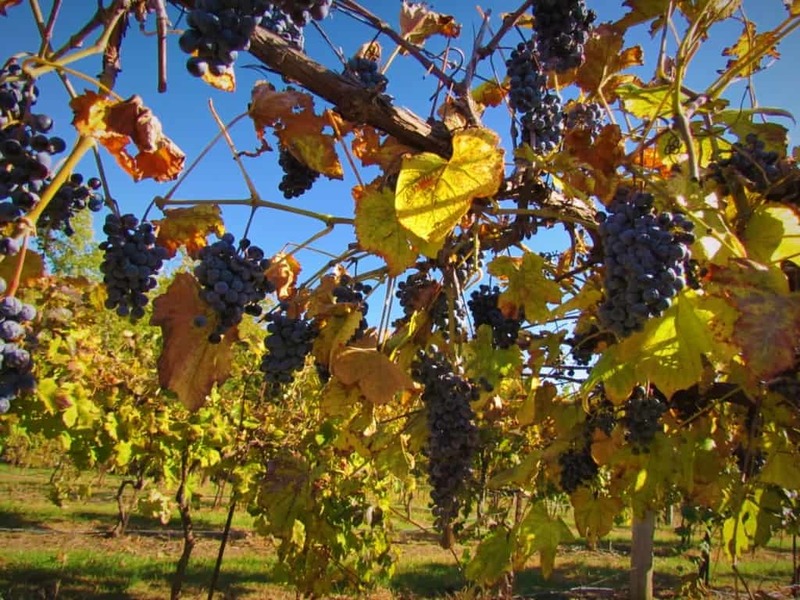 While the majority of the grapes had been harvested, there were a few types that are left on the vines a little longer. This helps increase the sugar content and produces some of the sweeter wines. It also offers a group of photographers a chance to hone their skills with subjects that don’t move on them. While I wandered around taking scads of pictures, Crystal spent some time visiting with staff from Visit KCK, who were hosting this InstaMeet. After I had taken tons of photos, it was time for us to head out. We said our farewells, and headed back to our home. A couple of weekends later, we found ourselves wandering through the Crossroads District in KCMO. We enjoy this region, because of the numerous pieces of artwork and murals that are found there. 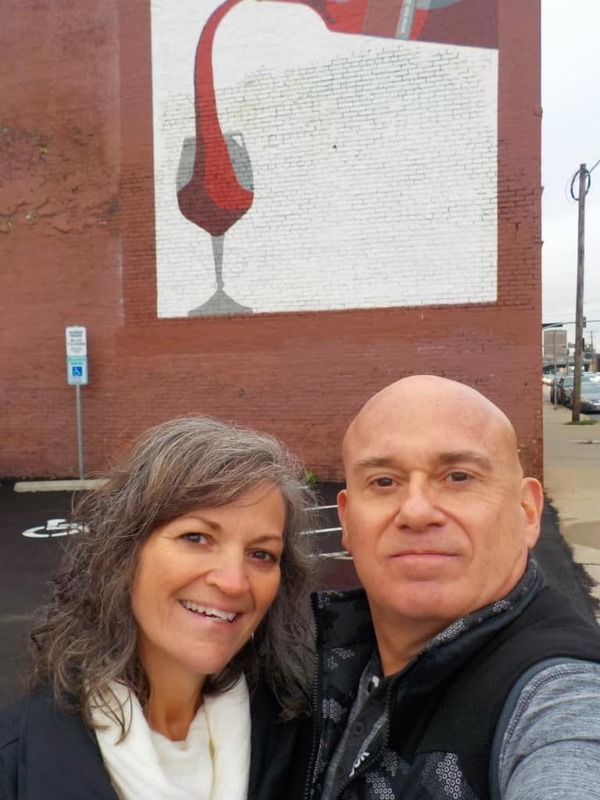 How surprised we were to find this wine mural, and couldn’t resist adding a selfie to our gallery. So, where are our wine drinkers? 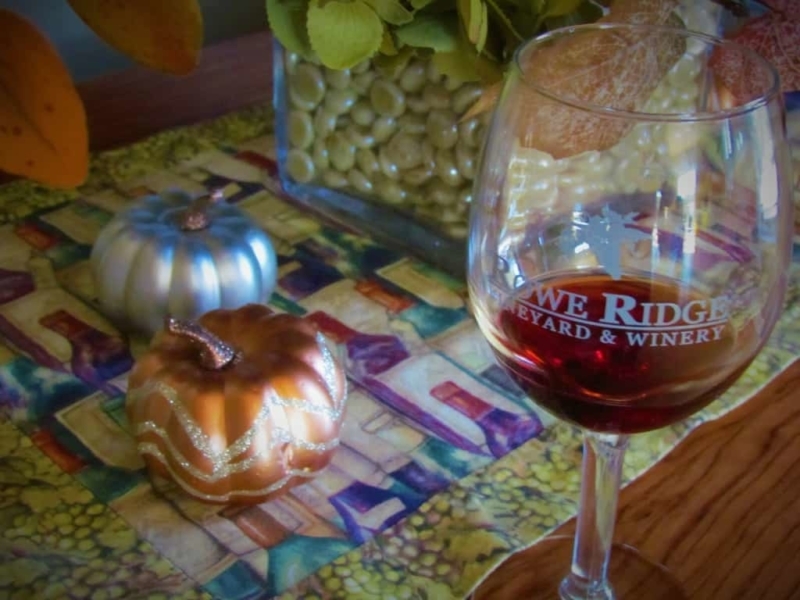 Let us know some of your favorite local wineries in and around Kansas City. We would love to feature them in a future visit. Drop us their name in the comments section below. Until later, Cheers! Share this with your wine loving friends! We appreciate this feedback. It’s so good to see that you are enjoying our articles. Thanks for following along with our adventures.